A major trend in remote sensing is data fusion, where complementary instruments combine into one payload aboard satellites, aircraft or UAVs. 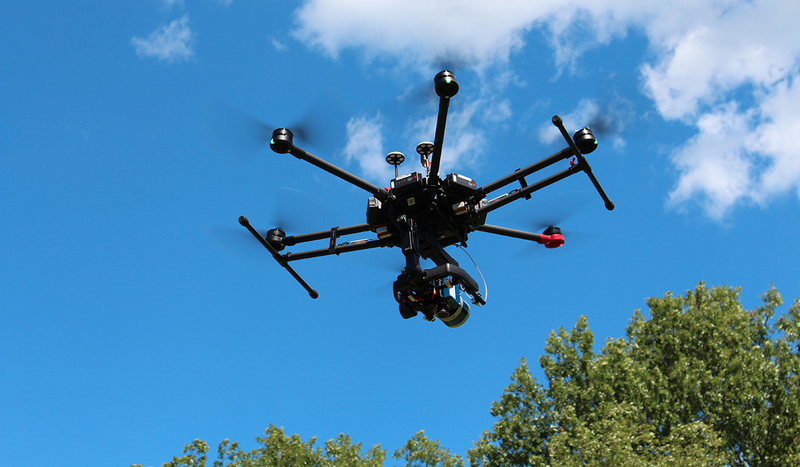 Headwall is leading the industry with integrated hyperspectral and LiDAR solutions that provide synthesized data sets for more precise monitoring of earth ecology. An example of Headwall's sensor fusion can be found at NASA's Goddard Space Flight Center, pioneers of groundbreaking environmental analytics. 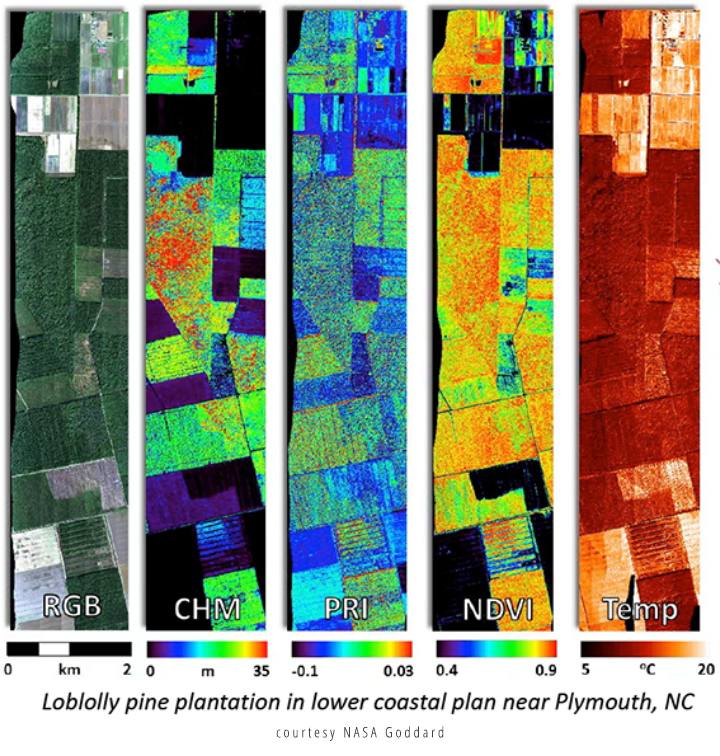 The G-LiHT program combines hyperspectral with LiDAR and thermal to simultaneously map the composition, structure, and function of terrestrial ecosystems. A significant Headwall data exploitation tool is AgView™, an application package for commercial crop management. 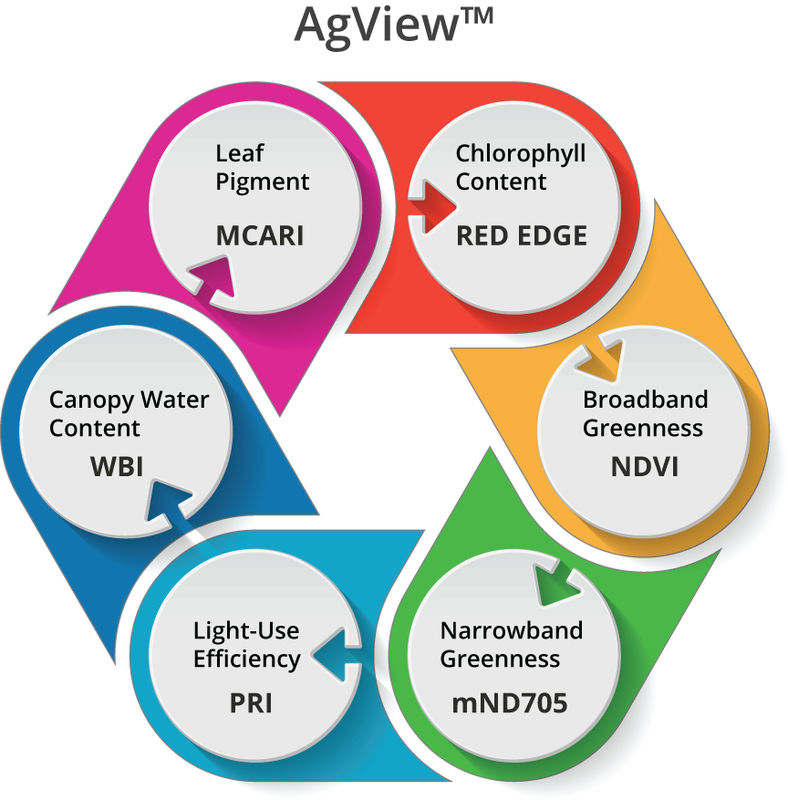 AgView™ uses powerful algorithms and analytical tools to rapidly assess six crucial vegetative indices (VI's) based on narrow-band data in within the Visible-Near-Infrared (VNIR) range from 400 to 1000nm. With AgView, spectral data can be collected and interpreted on the same day, leading to much more time-efficient and precise crop-management. The ability to measure actual photosynthetic activity is a breakthrough made possible with Headwall's high-resolution fluorescence imager that is the smallest and lightest of its type. This instrument has a spectral resolution of between 0.1 and 0.2nm, allowing it to capture very weak Oxygen A-B bands where indications of vegetation stress exist. 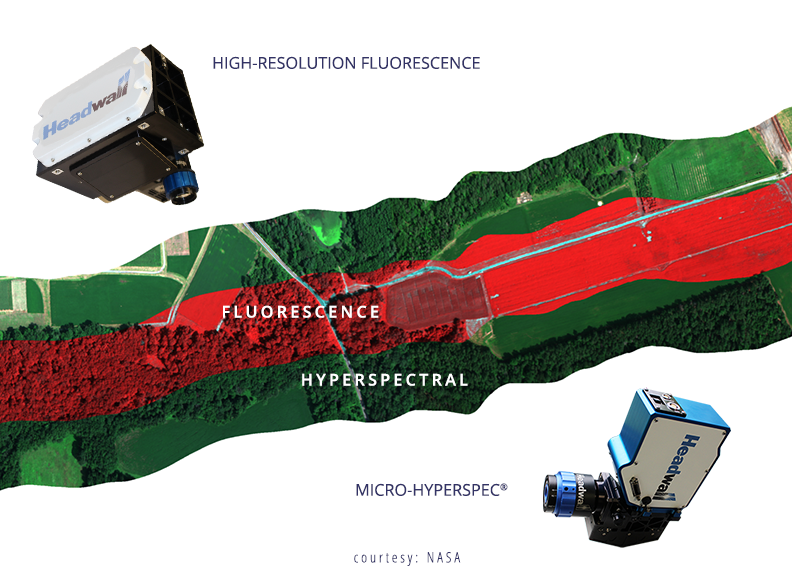 Chlorophyll levels, leaf optical properties and vegetation structures can thus be determined rapidly and in near real-time with this Solar-Induced Fluorescence (SIF) imager. 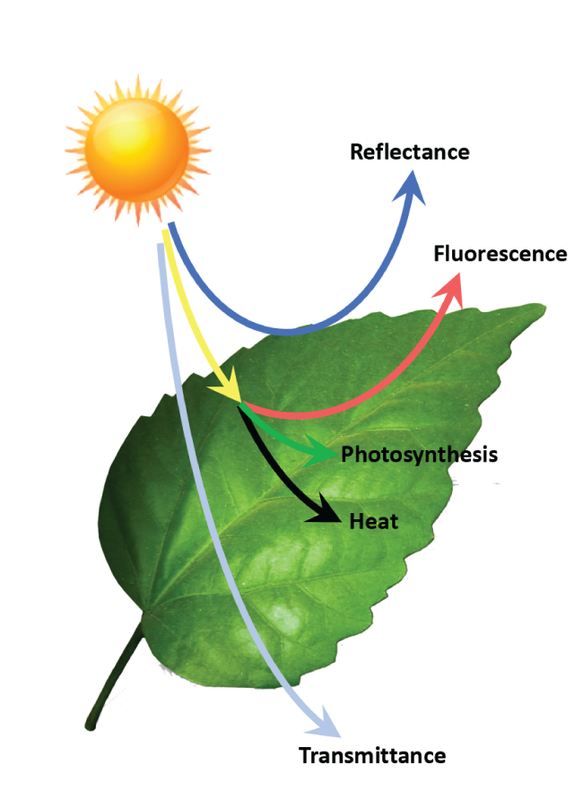 During photosynthesis, plants emit what is called fluorescence -- a form of light invisible to the naked eye but detectable by satellites orbiting hundreds of miles above Earth. NASA scientists established a method to turn this satellite data into global maps of the subtle phenomenon in more detail than ever before. 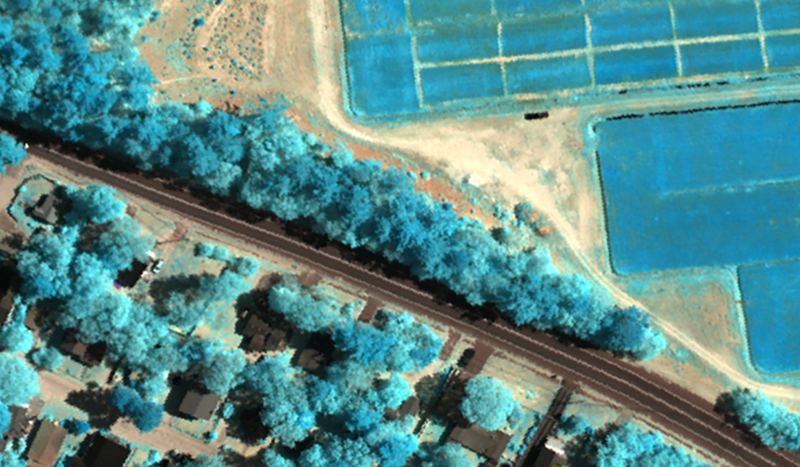 To aid in this effort, Headwall has a number of spectral imaging sensors specifically designed to target very narrow passbands with high resolution.